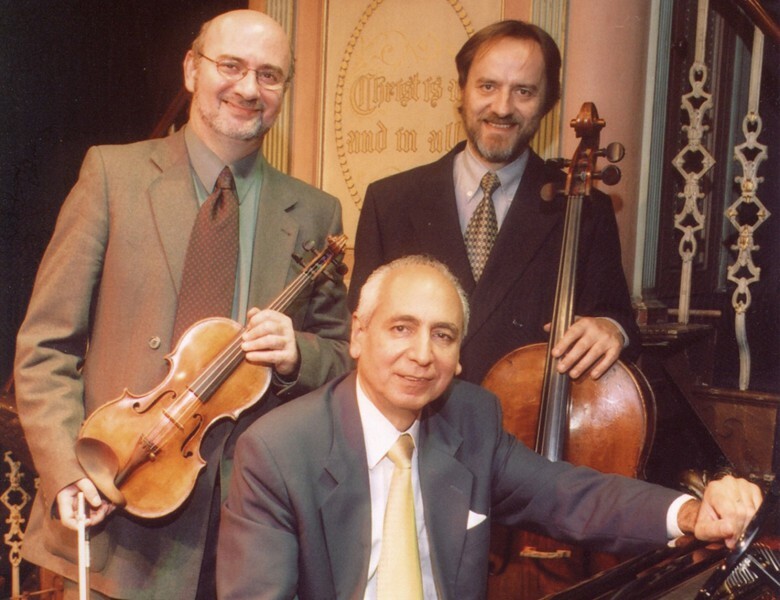 The famous Rosamunde Trio perform some of the most beautiful music ever composed for piano trio. Schumann’s captivating imaginary world in the ‘Fantasiestücke’ is followed by a more classically poised version of beauty in Mozart’s late C major trio. Peter Fribbins’s four ‘Dances & Laments’ (two of each) for violin and cello duo provide interludes that are in turn exciting and hauntingly melodic, before Maurice Ravel’s further contemplations on beauty in his ravishing exploration of colour and melody in his famous piano trio from 1914.